We love bourbon and respect the laws that protect and define it. Working within these established regulations ensures a certain level of quality and consistency. By not allowing artificial flavors and colors these laws can push distillers, blenders, and marketers to differentiate bourbon in truly innovative ways. But it can also act to somewhat limit flavor profiles by strictly regulating the grains used in a bourbon mash bill and the aging process. 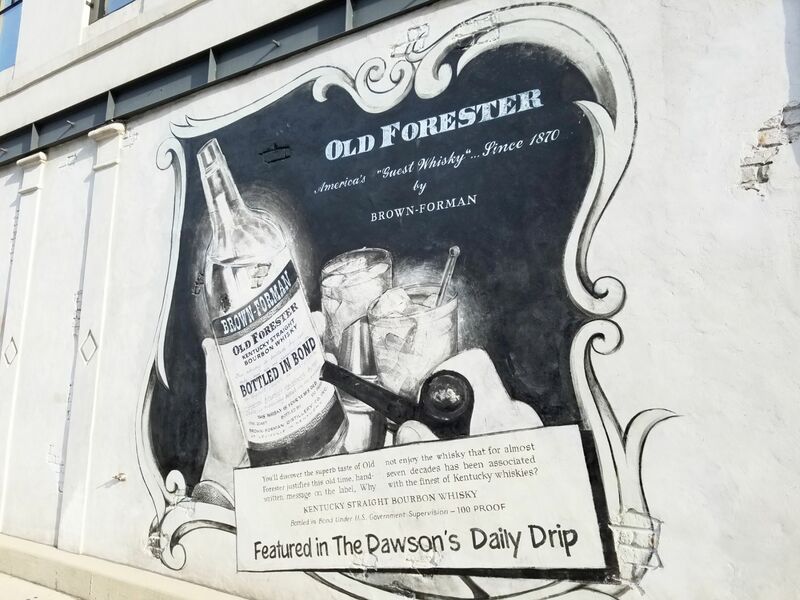 Wall mural outside Chicago restaurant The Dawson. 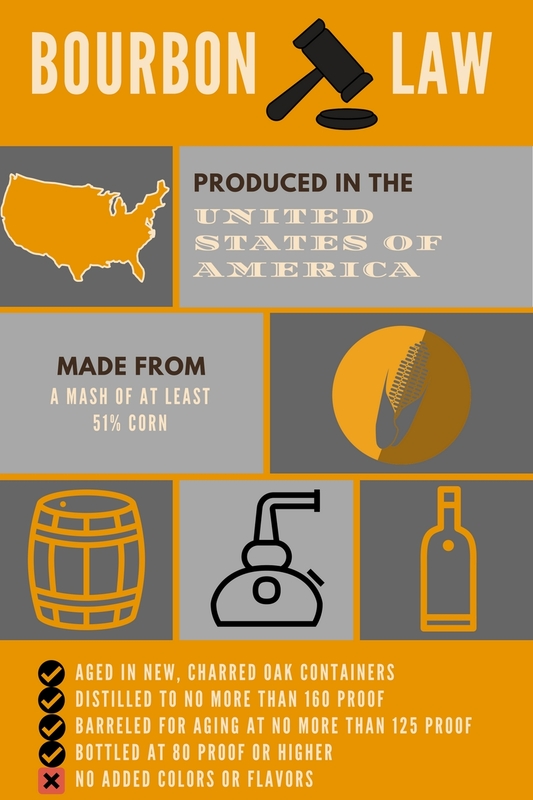 Much later, in 1969, The Federal Standards of Identity for Distilled Spirits Act placed further regulation on spirits, including Bourbon and Whiskey. It is part of this act that outlines the legal requirements for Bourbon that must still be followed today. Some bourbon brands are bending these regulations. For reasons ranging from differentiating their products in a growing market, to increased profits, to just plain curiosity. Angel’s Envy is one of the more well-known, and successful, examples of Bourbon experimentation and pushes into a gray area of Bourbon law. 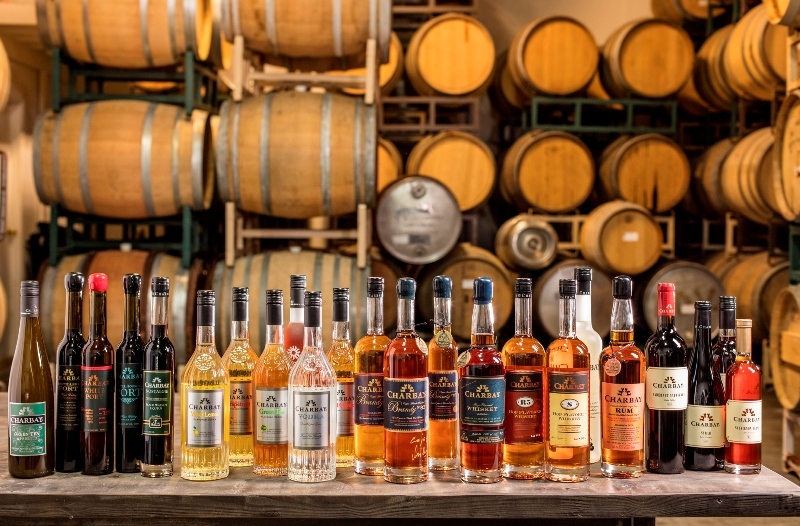 By taking Bourbon and putting it in used port wine barrels for a second aging, or “finishing”, they create a uniquely flavored whiskey. Many other brands have followed suit by also taking traditionally produced Bourbon and finishing it in barrels previously used to age other spirits, beers, or wines. Angel’s Envy will use a port cask 3 to 4 times before refilling the cask with port wine to get the port flavors back before dumping the wine and adding the next batch of Bourbon. I call this a gray area because Bourbon, by law, must be aged in brand new charred oak containers and cannot have any coloring or flavoring added. This is a pretty clear method of adding flavor. In my opinion these “finished” Bourbons should more appropriately be labeled “Whiskey made with Bourbon”. But, the TTB who approves all spirit labels, seems to be allowing this process of used barrel aging and added flavor. Angel’s Envy and other finishers produce excellent whiskey, as their sales undoubtedly reflect. And to many, producing an excellent whiskey that drinkers truly enjoy is held above all else. 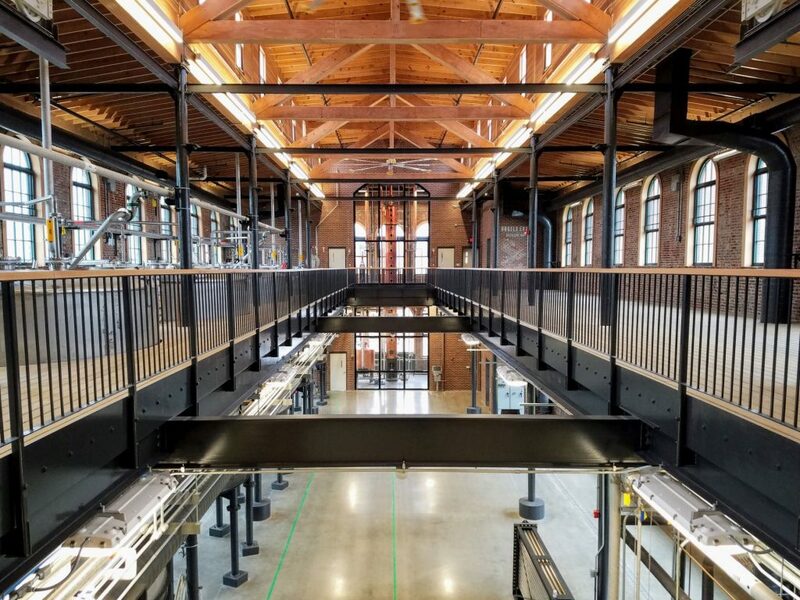 A look inside the new Angel’s Envy distillery in downtown Louisville, KY.
Other producers have found creative ways to stick to both the letter of the law and the spirit of bourbon regulations. Four Roses uses 5 different yeast strains and 2 mashbills to create 10 unique flavor profiles which they either blend or bottle individually to create unique products. The Buffalo Trace Experimental Collections is another great example of tweaking the source grains, mashbills, and aging processes to produce Bourbons that are truly Bourbon. Past experiments have included the Single Oak Project, infrared barrel exposure, and using grains grown at the distillery. Jefferson’s produces another example of creative experimentation with their Jefferson’s Ocean: Aged at Sea bottlings. By exposing aging Bourbon barrels to a sea journey atop the deck of a boat; they end up with a Bourbon flavor profile affected by the sea air, water, and the motion of the ocean. 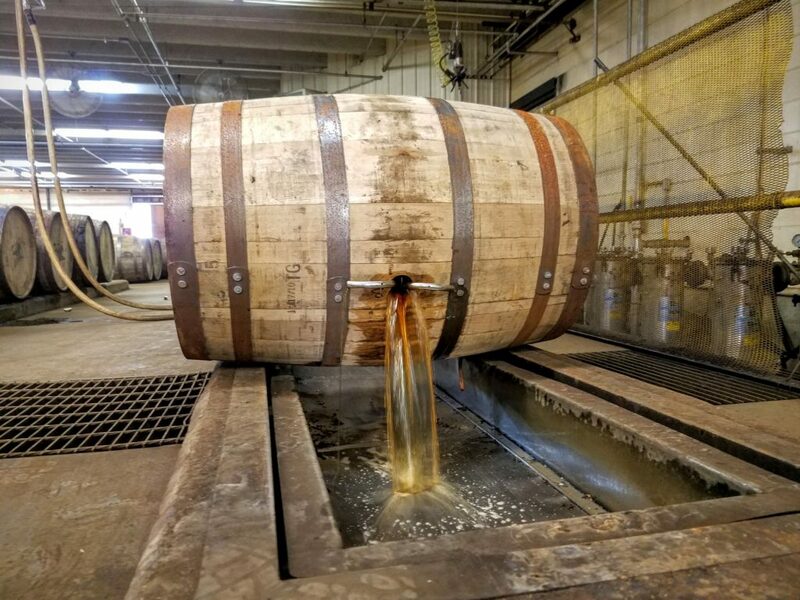 A Four Roses barrel being dumped at their Cox’s Creek Bottling Facility. Then we have Marko Karakasevic. Marko is a 13th generation distiller and the creative mind behind Charbay Distillery in St Helena, CA. Marko threw the whole rule book out the window. He makes whiskey and other spirits on his own terms. He does NOT make Bourbon, more of his thoughts on that later. Charbay follows a unique process of distilling beer to make their whiskey. I don’t mean ‘distillers beer’, I mean real high quality drinkable beer. Marko’s family began distilling in Serbia in 1751 and has been in the business ever since. Marko moved to California with his parents in 1983 where they began making brandy and fresh fruit flavored vodkas. In the early 90’s he had the idea to distill beer into whiskey. His first beer order came in at 6,000 gallons of IPA. Marko, the sole distiller at Charbay, follows a grueling process to turn that beer into whiskey. Marko Karakasevic, distiller at Charbay Distillery. He runs his cognac pot still 24×7 for ten days, going through 18 to 20 runs for a single batch. A typical column or hybrid still with a doubler requires just 2 to 3 runs. Why does Marko use a pot still? “The flavor and body come from the pot, there is no comparison between a pot and column still. A column or hybrid still is great for capturing the top notes but they don’t collect the body.” He distills to about 140 proof and barrels at full strength. 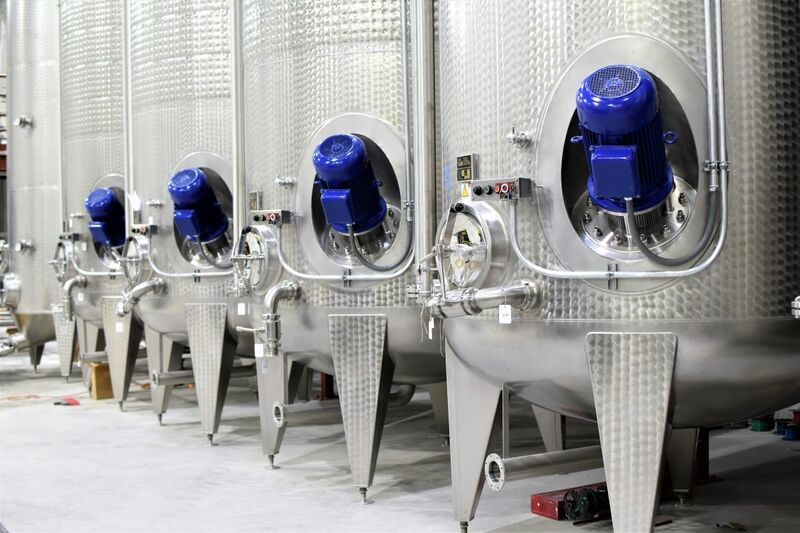 A single batch of 6,000 gallons of beer will net about 600 gallons of distilled whiskey, or about 10 full size barrels. Starting with a finished beer isn’t the only thing Marko does differently than the other guys. He doesn’t like “over-oaked” whiskey, or, whiskey that has taken on too much flavor from the barrel. His “R5” and “Stout” average 3 years in a barrel while the “R3”, made from a Pilsner beer, is double aged. First spending 6 years in new American oak and then another 8 years in a sealed stainless steel tank. The way Marko explains it, the stainless tank allows the flavors in the whiskey to mingle without taking on too much flavor from wood barrels. Charbay whiskey is certainly not a budget spirit. Bottles retail from $80 for the R5 to over $400 for the limited-edition R3. Marko knows his whiskey is on the expensive side for some. But it’s their process that makes it expensive. He isn’t using cheap industrial grain or producing hundreds of barrels per day. His source materials are expensive, the distilling process is time-consuming, and the whiskey is aged far longer than most budget Bourbons. We also touched on the wording on his bottle labels displaying “Hop Flavored Whiskey”. This is a smaller point of contention for Marko, one that he seems to have accepted. 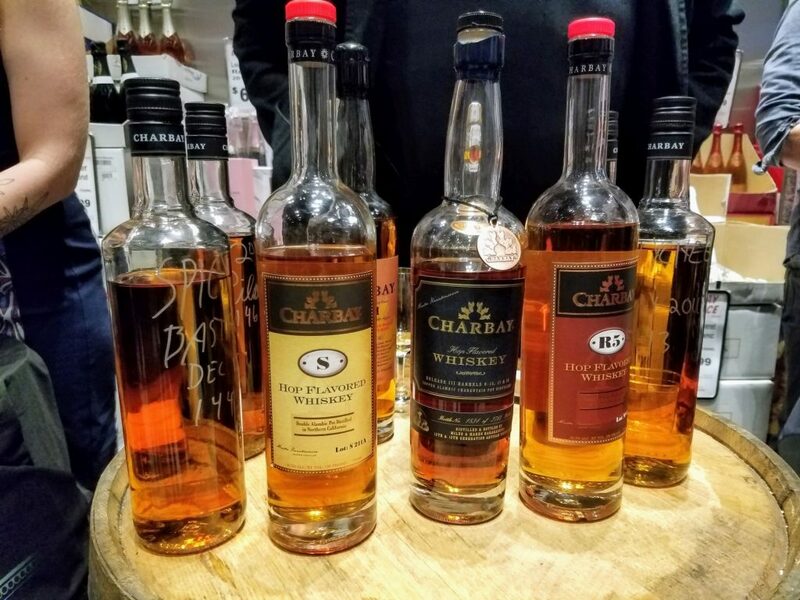 The same laws that regulate Bourbon also require Charbay to label their whiskey as “flavored”. Though no coloring or flavoring is added, the whiskey is distilled with hops which somehow makes it a flavored product. I can’t pretend to understand the regulatory logic here but Marko doesn’t seem too fazed. The whiskey he makes speaks for itself. In this drinkers opinion he could pour it from a shoe box and I would savor every last drop. I finished my discussion with Marko by asking if he’d ever consider making us a Bourbon. He said, “I have no plans to make Bourbon. 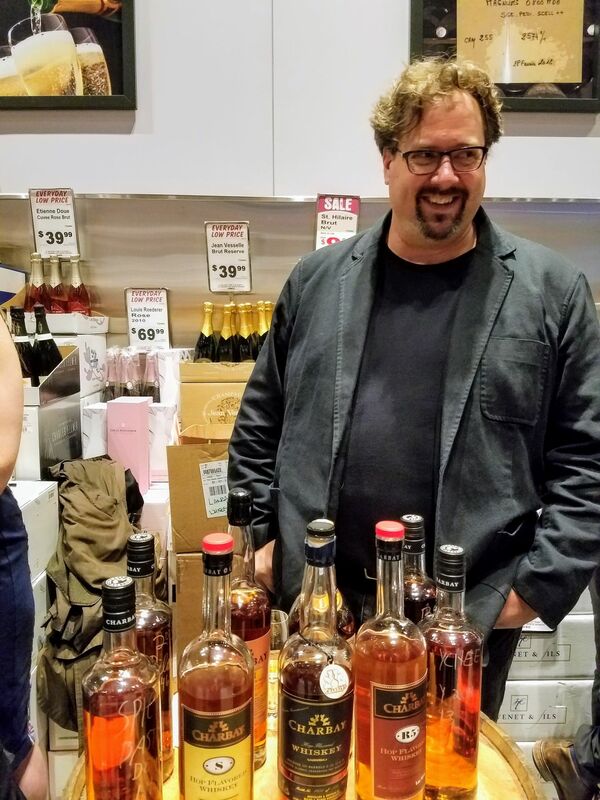 I still make these products for me, I’m proud of what I make and I don’t like to be told what to do.” Charbay is making whiskey that Marko and his family believe is the absolute highest quality they can possibly produce. Today you can find Charbay spirits in CA, NY, IL (yes in Chicago), TX, MO, TN, SC, AZ, and NV. Look for the second release of their Stout Whiskey and a few other special bottlings this year.